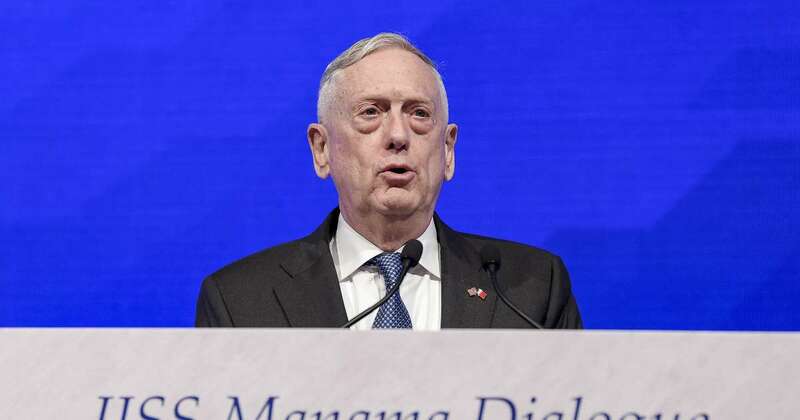 Defense Secretary Jim Mattis warned a Middle East forum on Saturday that the murder of Saudi journalist Jamal Khashoggi inside the kingdom's consulate in Istanbul "must concern us all greatly." Quoting Secretary of State Mike Pompeo, Mattis told a security conference in Bahrain that the United States "does not tolerate this kind of ruthless action to silence Mr. Khashoggi, a journalist, through violence."u. On Thursday, CIA Director Gina Haspel briefed President Trump on the latest developments in the investigation after a fact-finding mission to Turkey. Haspel has heard the purported audio that Turkey alleges is of Jamal Khashoggi's killing, two sources have told CBS News. Khashoggi's murder has resulted in international outrage and undermined relations with Riyadh. The U.S. has hoped Saudi Arabia can help counter Tehran's influence in the Middle East. Crown Prince Mohammed bin Salman, known as MBS, has denounced the "repulsive" murder, denying any involvement. Saudi leadership has pushed responsibility down the chain of command. Earlier this week, Mr. Trump called the case "one of the worst cover-ups in the history of cover-ups." Late Tuesday, the U.S. said it would revoke the visas of 21 Saudi suspects in the Khashoggi case, and Britain followed suit on Wednesday. Mattis told the conference that more measures would follow. "We will maintain our 'twin imperatives', as stated by Secretary of State Pompeo, of protecting America and holding accountable those responsible for this murder," he told the forum. "Our secretary of state has already revoked visas and will be taking additional measures." Turkey is calling on Saudi Arabia to extradite the 18 Saudis it has arrested over Khashoggi's murder. Turkish President Recep Tayyip Erdogan, who has stopped short of directly blaming the Saudi government, said the 18 suspects must know who killed Khashoggi and repeated his call for the men to be tried in Turkey. He urged Riyadh to reveal who ordered the killing and the whereabouts of Khashoggi's body. "You need to show this body," Erdogan said. "Unless you tell, Saudi Arabia will not be free from this suspicion." Saudi Arabia's top diplomat said Saturday that the global outcry and media focus on the killing of a Saudi journalist earlier this month has become "hysterical." And he urged the public to wait for the results of an investigation before ascribing blame to the kingdom's top leadership. Jamal Khashoggi, a Washington Post columnist critical of Saudi Arabia's Crown Prince Mohammed bin Salman, was killed by Saudi agents at the kingdom's consulate in Istanbul on Oct. 2. "This issue has become fairly hysterical," Foreign Minister Adel al-Jubeir said. "I think people have assigned blame on Saudi Arabia with such certainty before the investigation is complete."